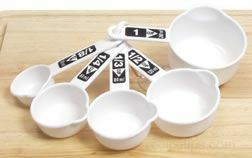 Individual graduated dry measuring cups are used to measure large quantities of flour while measuring spoons can be used to measure the smallest quantities. 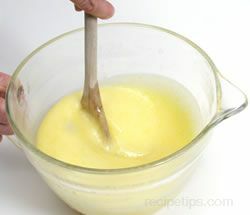 When measuring flour, it is best to fill the measuring device until the flour is heaping above the rim. 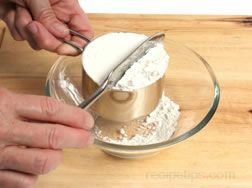 Using the back edge of a knife or other straight edged object, create a precise measurement by running the straight edge along the rim of the measuring container to push off the excess flour. 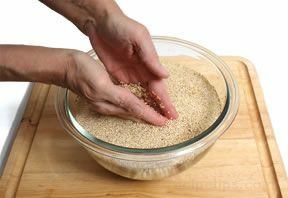 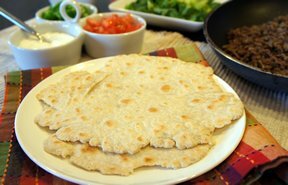 It may be beneficial to stir the flour before measuring to remove any lumps that may have developed. 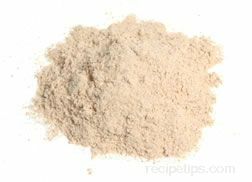 The flour can also be sifted to insure that it is free of lumps, but this usually is not required because most brands of all-purpose flour are presifted. 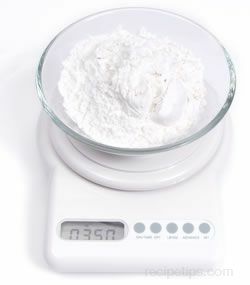 A kitchen scale can be used to measure flour by weight for the most accurate quantity. 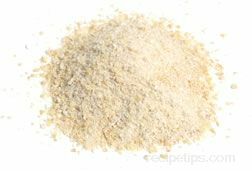 Occasionally, the quantity of flour that is actually contained in a measuring device may be inaccurate due to several factors, such as the manner in which the flour is added to the measuring device, the degree in which the flour is compacted, and the humidity level. 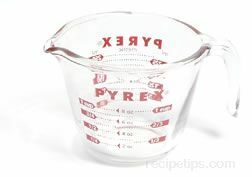 Using a scale to weigh the ingredient eliminates the inaccuracy and provides a more precise measurement. 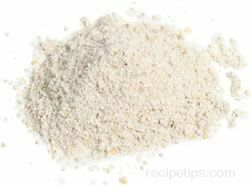 Because flour is generally the major ingredient of many baked goods, it is important to be as accurate as possible with measuring flour to achieve the best results. 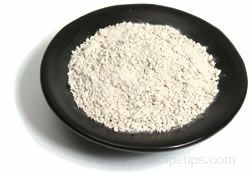 It is also worth noting that different types of flour do not weigh the same.